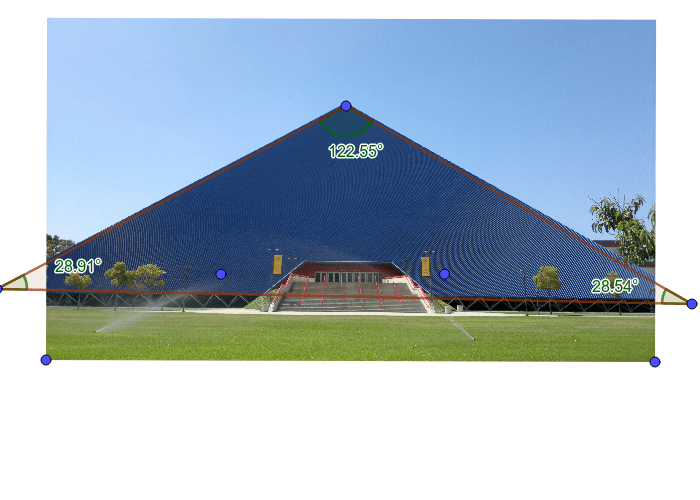 After Nick took a picture of the Walter Pyramid at CSULB, he starts to wonder how to find the sum of interior angles. How can NICK find the sum of interior angles of one side of the Walter Pyramid? Is the sum of the interior angles always the same for triangles? Move the triangle that is below and add the interior angles, see if the sum of interior angles change. Can two rectangles make a rectangle. 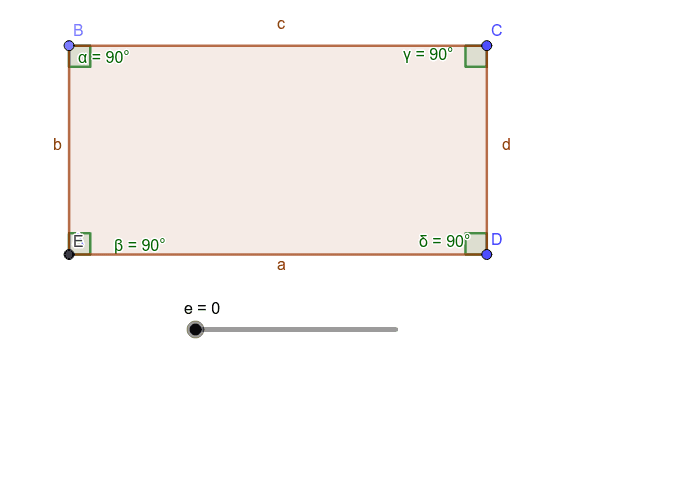 What is the sum of the interior angles of the rectangle? Now move the slider from e=0 to e=2 (knowing that the sum of interior angles for a triangle is 180). Now that we have two triangles making a rectangle, does the sum of interior angles of a rectangle change? The sum of interior angles for a pentagon. 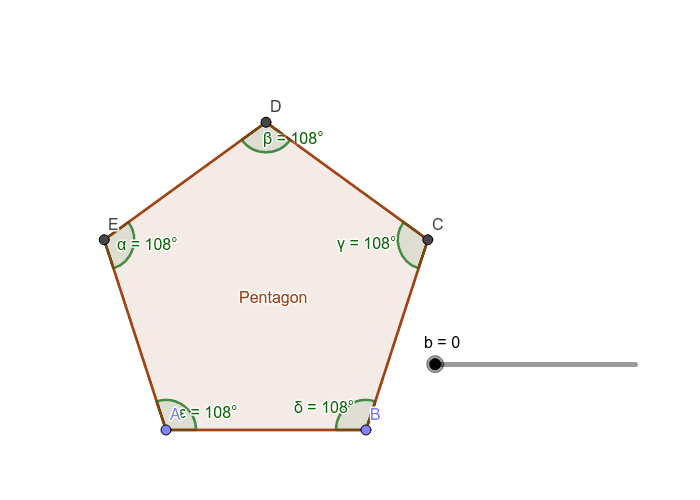 What is the sum of the interior angles of the pentagon? 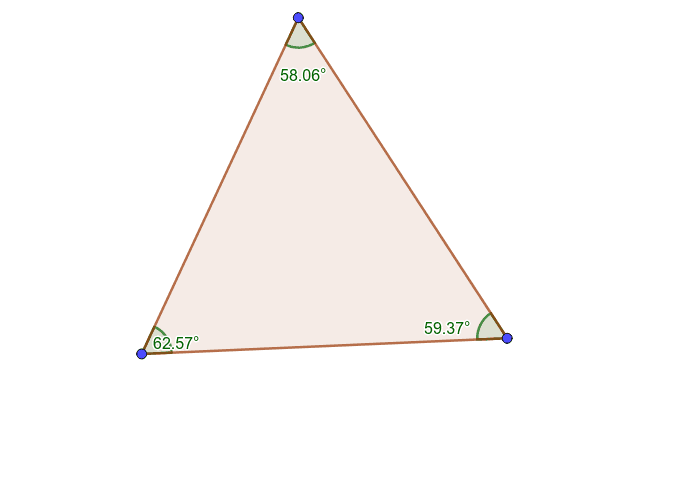 ﻿You can move the slider (b=0 to b=5.3), this will show that the pentagon can be made up of three triangles. Using what we previous learn that a rectangle can be made up of two triangles, its interior angles add up to 2 x 180= 360. A pentagon can be made up of three triangles an its interior angles add up to 3 X 180=?? Here is what we learn. If we add a side we another 180 to the total.